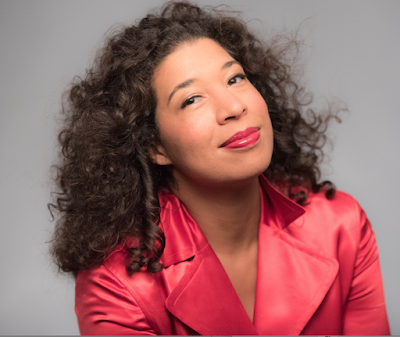 Soprano Mary Elizabeth Williams has a career path that is so astonishingly varied that one is almost rendered breathless trying to follow her trajectory. The Milan, Italy-based artist has appeared nationally and internationally at numerous opera houses, from La Scala, Lille, Bonn and Stuttgart to Seattle, Dallas and Florida. She is known for her lush voice and compelling dramatic presence. 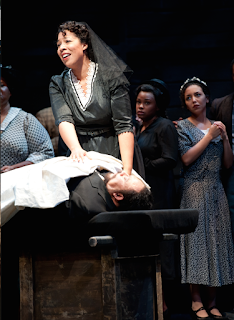 Having taken part in Seattle Opera’s young artist program, Williams made her company debut as Leonora in Verdi’s Il trovatore in 2010, and also has performed here as Tosca, Elisabetta in Mary Stuart, Abigaille in Nabucco and Serena in the Gershwins’ Porgy and Bess. She returns to open the company’s 2018-2019 season this August, once again as Serena. With her degree in English literature, she has a wonderfully varied view of her work. Erica Miner: Welcome back to Seattle, Mary Elizabeth! Mary Elizabeth Williams: Thank you very much! EM: I can’t wait to hear you in person. I actually played Porgy and Bess at the Met, an uncut version. It was a bit long. How would that compare to the one you’re doing here? MEW: There certainly are cuts. They’ve done a very good job of keeping it under 3 hours. The epic quality of Gershwin’s original cover-to-cover version is just not reasonable for finances of today’s opera house. EM: I agree. It works better dramatically to have some cuts. MEW: All of it is beautiful music. But as (conductor) John DeMain said the first day of rehearsal, we tried to cut things that did not move the story forward. Unfortunately we had to take out some really good music that was connected to scenes that were not important enough to the overall arc of the story. I agree with that. I believe we should take a look at scores to figure out ways to make the story tighter, so we don’t lose modern audiences who have different attention spans than they did at the time of the piece’s writing. I’m not saying there isn’t a place for uncut and complete recordings and occasionally a live performance, but the reality is, people don’t want to come to the opera and spend 4 or 5 hours. EM: The orchestra doesn’t want to, either. I can say that with absolute bias. EM: Would you define Porgy and Bess as opera or operetta? MEW: Definitely opera. All of the recits are set to music, not just rolled chords underneath them, and the drama is driven in its best moments by the music. Just because the writing is approachable, memorable and jazzy doesn’t make it less of an opera. If that were true, we’d have to call Carmen an operetta. EM: And because Porgy is 20th century, we have a different way of looking at and listening to it. MEW: It’s also confusing because Gershwin wrote so much for Broadway. But if you look at that versus what he wrote for films, if you compare those, he clearly was thinking in two different realms and not writing with the same pen. In his own brain he was writing an opera. I trust and respect his judgment enough to think of it as an opera. EM: There’s an eternal debate about 20th century American music, because so much of it coincided with the Golden Age of Broadway musicals. People tend to think of something like Porgy or Bernstein’s Candide as either operetta or musical theatre. I think they’re as operatic as it gets. MEW: In the American, or English language, repertoire, it’s all on the same spectrum. People like Gershwin, Bernstein, also Britten, were positively affected by all kinds of music. You can hear it in how they wrote. I think it serves the piece better to call Porgy an opera, where you demand a higher level of singing. That’s as it should be, especially for a piece like Porgy. It’s written in such a way that it needs good singers. It has large capabilities, both in tessitura and emotional expression. I also believe it works best as Gershwin wrote it, for acoustic performance without microphones. 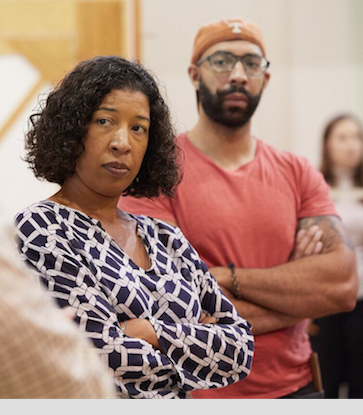 If you start out at the beginning stages of a production saying it’s an opera, you preserve Gershwin’s intent a whole lot better than if you say it’s a musical theatre piece. In the list of priorities as to who’s going to perform it, direct it, choreograph it—what’s going to be important—singing falls a bit down on the list. That worries me because vocally this is not a piece to be taken lightly. EM: Leontyne Price certainly didn’t take it lightly. MEW: Exactly. And Porgy is an incredibly difficult role. It requires uncommon breadth and stamina. You have to have someone who really knows their stuff—not only has respect for what Gershwin wanted, but also their own voice well enough to parse it out through the evening and save enough for that last scene, which is a killer. It’s high and long and requires breath control for days. A tour de force. EM: What is it like for you to sing Serena again after doing it here in 2011? Kevin Short, Williams: Photo Philip Newton. MEW: My very first time singing Serena was in 2005, with Atlanta Opera. I had just finished my young artists program in Paris and was trying to figure out what to do with myself [Laughs]. Dennis Hanthorn, who ran the company, asked me to do Serena. I was thrilled. I had never sung Porgy and Bess. I knew all the tunes like everyone does but had never been up close to it. I was very lucky to be part of a cast where I was the only person who’d never done their role before. I was given a lot of really important tips from people who’d sung their roles for many years and had been around some really wonderful Serenas. I learned from the generation before me. I always try to pass on the knowledge I’ve gained from 13 years of singing this role. I don’t sing it often. Unfortunately as a black singer that tends to limit one’s career. I avoid that by picking judiciously where I’m going to sing it. It’s not usually my modus operandi to sing a role in the same place. But I have a special relationship with Seattle. I love working here and I knew they would take the responsibility of presenting the piece seriously. So I had confidence that it was a good place to sing it. EM: You were born in Philadelphia, as was the great Marian Anderson. Have you thought of her as a role model? MEW: The black singer I’ve thought of more as a role model is Shirley Verrett, and more as a singing model. I listen a lot to her because I think we have similar talent. Our voices sit similarly. My voice has a warm and “ready” middle, but I also have access to the top like her. There’s a gravitas to her performing soprano roles that I think is similar to what I’d like to be able to offer. EM: You’ve sung many of the same roles. MEW: Yes. Aida, the Verdi Requiem, Macbeth. I never heard her live but watching her I could tell she was a no-nonsense, no drama singer. She did her work, was very well prepared, respectful of the process, and kept her drama on the stage. I always strive to be that way as well, to keep my emotional balance and remember that being a singer is just part of who I am and owe it to the rest of me to give equal energy to all parts of me. To comport myself in a way that is respectful, to people and to music. I think she did that very well. And of course Marian Anderson. EM: I still find her story hugely inspiring. She was a beacon, an example of what she stood for. MEW: We don’t share the same repertoire, but as a young girl I read her autobiography and believed she had a fantastic inner grit. Her ability to stand firm and demand respect quietly, to get as much done as she did in a time when everything was working against her. Amazing. Lots of singers have overcome enormous problems and people trying to keep them from doing what was important to them. They moved past it, adapted and found places and ways to sing. The inner drive. Maria Callas was like that. All the singers who came before me, I learned something from. EM: Your own voice has been described as everything from spinto to dramatic coloratura. Can you define your fach? MEW: As a singer it’s my job to stretch my technical and artistic capabilities as far as they will go. I’ve always strived to sing as high, low, fast, slow, soft and loud as possible. To make sure I have as many colors on my palette available to me to use at any given moment. I can sing a lot of different roles. They may not sound the way people are accustomed to hearing them, but I think my voice and artistry have something to contribute to the overall fabric of opera. I never thought I’d have a chance to do Desdemona, for example. I did my first concert version with the Atlanta Symphony. It’s been cast lighter and lighter, more lyric, over the years. Historically it was sung by spintos. It requires a certain facility in the middle and low that’s hard for some lyric voices. When they offered it to me I said I’d probably not be what people are looking for but I wanted to try it and see what my voice could offer to the piece. I feel that way about most repertoire I accept. Last year I did Fledermaus in English, not something I typically would do with my voice. MEW: But I wanted to stretch myself. I said to the people who hired me, “I’m not sure if it’s going to be any good, but we can try.” And it was good, and funny, and good for me as an artist to learn to use my voice that way. EM: It’s such a fun role, too. MEW: Yes, and a wonderful break for me to be part of such an inconsequential story, to play around with different emotional journeys. Nobody died, there was no big über crisis [Laughs]. It was basically a bedroom comedy. I never get to do stuff like that. I’m always dead at the end, and if not, someone I care about is dead. I guess I could say I’m vocally a typical Verdian dramatic coloratura, but what I want my career to say is that I’m a soprano who does as much as I’m able and as far as I’m willing to risk to be able to tell a good story. Williams: Photo Elise Bakketun (2011). EM: Which repertoire do you most enjoy singing, and what would you like to sing in the future? MEW: I enjoy French Grand Opera and would like to sing more. I’m going to dip my toe into the Wagner pool in 2020. MEW: I can’t tell you yet, but I can say it’s in the Ring. I’m excited about that. It’s good for me to try and see what happens. Overall, I’m more of the school of Verdi’s time. They didn’t really separate singers, they just said you’re a woman or a man [Laughs]. Sopranos often sang what we now consider mezzo repertoire and vice versa. If I can sing it and I can do justice to the part, then why not? EM: What roles have you not yet sung that you would like to sing? MEW: I’m pretty open. The goals I’ve set for myself I’ve pretty much achieved. I had great fun singing Norma. I’d like to do it again. I think I’d do it better now. I’d like to do Les Troyens, Hérodiade, maybe some Strauss. My interest in singing is not particularly linked to any role, but to the story. If I’m offered a role in a story I find interesting that I’m physically capable of singing, I’m interested, even an opera that hasn’t even been written yet. That might ultimately be my biggest joy. EM: That’s looking into the future in a wonderful way. MEW: It’s important for me not to always look to the past, or challenges already conquered by others [Laughs]. We’re living in a time when opera, the art form, is changing and developing. They’re using more multimedia. I just came from a Nabucco in France that was simulcast and involved lots of camera work, pre-recorded dialogue. I can imagine a future where we might mix opera and art song, musical theatre, or poetry. If it’s done well, if we tell a story that engages the audience and it challenges me and makes me a better singer, I’m all for it. EM: I like your sense of adventure. EM: Aside from Beethoven’s 9th Symphony in the fall, what else is coming up for you? MEW: In November I’ll be singing Nabucco again in Dijon, and touring with Welsh National Opera, Amelia in Un ballo in Maschera, in early 2019. EM: Amelia should be perfect for you. Lots of dramatic coloratura, high notes, a strong middle. MEW: I’m really looking forward to revisiting it. In Basel it was not a great experience. The stage director was somewhat intimidated by my physical presence, at a loss. Amelia is quite a reactive character, not someone with a lot of power. Physically I’m someone who takes up a lot of space. This time I’m working with a director I know and love, whose vision I completely believe in, with whom I’ll find a multifaceted, complex telling of the story from Amelia’s perspective, that will allow me to sing with my voice in my body but also be true to the character and her predicament. EM: It sounds wonderful. 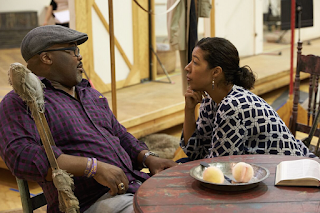 And I’m looking forward to seeing and hearing you in Porgy and Bess. Thanks so much, Mary Elizabeth, for a fabulous interview. 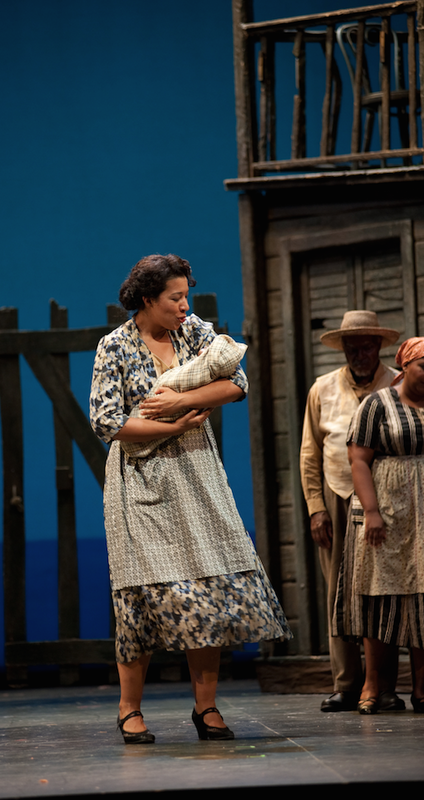 Seattle Opera’s Porgy and Bess runs from Aug. 11-25.